The secret to raising high quality dairy beef at a profit is really no secret at all: It just requires top management throughout the steer’s life cycle and consistent forward contracting to mitigate market risk. Dairy beef now makes up about 20% of the fed cattle market. That’s up almost four-fold in less than a decade, says Tara Felix, an Extension beef specialist with Pennsylvania State University. There’s a couple of reason for that: 1) Veal consumption has plummeted in the last 50 years. 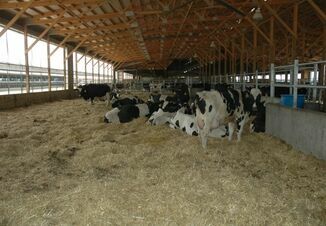 Male dairy calves no longer used for veal had to go somewhere, and that somewhere was the feedlot. 2) A major drought four years ago meant far fewer “native” cattle were being raised, which meant Holstein steers made a larger and larger percentage of the fed cattle market. 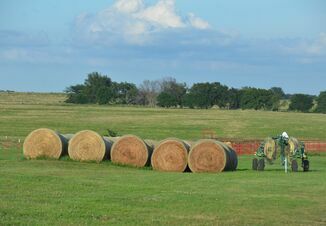 Pennsylvania farmers are looking to capitalize on these trends. But the stigma against Holstein steers is they have poor feed:gain ratios, take too long to grow and don’t grade as well native cattle. Some or all of that can be true if they’re mismanaged, says Felix. But her two years of feeding trials with Holsteins, and a third on-going, suggests dairy steers can be a profitable enterprise, she says. It’s also critical that the same care given to dairy heifer calves be given to steers fed for dairy beef. “We need the same care with steers as with heifers, meaning high-quality colostrum is given at birth,” she says. And she encourages early grain feeding—as early as day 3—to encourage rumen development. Once weaned, steer calves can be comingled in the feedlot. In her first year’s trial, 44 Holstein steers from a single source were placed on feed April 1 averaging 546 lb at 9 months. These calves had received a Ralgro implant two months earlier, and were already consuming 10 lb of grain/head. 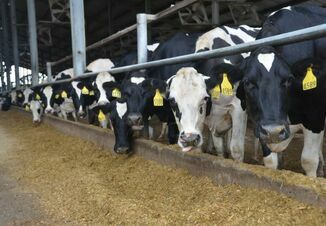 They were transitioned to a diet of corn, silage, distillers dried grain with solubles (DDGS) and minerals. Over the 209-day feeding period, they consumed roughly 20 lb of corn and 4 lb of DDGS per head daily. They were again implanted 28 days after arrival with Encore, a mild, long-duration implant labeled for up to 400 days. “However, we also chose to re-implant these calves again with a terminal implant 133 days later (Component TE-S),” says Felix. That was done to sustain average daily gains through 209 days. It worked. “As a group, the calves gained 3.96 lb/day (without shrink) for the entire duration of the demonstration,” she says. These gains led to a feed-to-gain conversion ratio of 7:1. The cattle averaged 1,343 lb +/- 130 lb at finish and carcasses ranged from 677 to 861 lb. All cattle were USDA Yield Grade 1 to 3. Rib eye areas averaged 12.3 square inches for the entire group. The cost per day to feed, implant and house the steers were $2.95/steer. “Because the cattle were bought by JBS when the market was on an upswing at $1.50/lb and sold on a downswing at 97¢/lb, the 44 steers on this demonstration did lose approximately $188/head,” says Felix. “However, had these calves been contracted in April (when they were purchased) at $1.11, they would have broken even…. These calves out-performed our expectations, but they could not out-perform the markets,” she says. In the second year of trial, calves were split into two groups upon feedlot entry, with half the calves receiving two implants (Component E-s on Day O followed by Component TE-S on day 116) while the other half received none. Steers receiving implants gained a half pound more per day than those which did not. Because the steers were housed in the same pen, feed intakes for each of the two groups could not be measured. The steers that received implants finished at an average of 1,371 lb +/- 144 lb while the steers that did not receive implants finished out weighing 1,282 lb +/- 79 lb. The steers receiving the implants graded lower, with one grading prime, 10 choice, 7 select and 2 standard. Those that didn’t receive implants had 1 grade prime, 14 choice, 4 select and none standard. Felix notes that cattle treated with implants were given them on Day 0 of feedlot entry. “In an ideal setting, steers would be brought up to full grain intake to ensure quality grade was not affected,” she says. Still, assuming similar feed conversion, the implanted steers netted $60 more per head then their non-implanted pen mates. Felix says she learned a couple of things from the trials. First, if producers aren’t using implants, they may be leaving dollars in the feedlot by not doing so. “The use of implants is critical for Holsteins to get their ribeyes to look more like beef ribeyes,” she says. “And you need the final implant because you need that final push for Holstein steers to finish. “By coupling excellent nutrition with current technologies, producing beef with Holsteins can be a profitable enterprise,” Felix concludes.